The bathroom is the perfect place to begin renovating your home. You and your family rely on this area for some of your most important everyday tasks. As such, you can make substantial improvements through simple remodeling solutions. In addition, the bathroom is relatively small when compared to the other rooms of your home. Therefore, you can complete your bathroom remodeling project quickly and easily. The professional remodeling contractors at LT Construction & Remodeling have provided the following unique ideas for Worcester homeowners to consider during their bathroom remodeling projects. With these little tips, you can ensure that you are maximizing the enjoyment that you and your family will get from completing your bathroom remodeling project. Their professionals can provide you with in-depth advice and accomplish all of your remodeling goals. If you are considering enhancing the comfort that you enjoy in your Worcester bathroom, you should think about installing heated flooring. The most common bathroom flooring materials are generally cold to the touch. If you install radiant heating under your tile or stone flooring, you can ensure that you will always be comfortable while using your Worcester bathroom. For a small bathroom, installing radiant heating under the floor can be extremely economical. 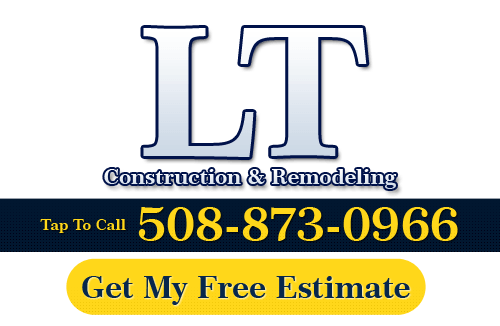 At LT Construction & Remodeling, their bathroom remodeling contractors recommend that Worcester residents go one of two ways with their bathroom countertops. First, they recommend that people install the tried and true granite or marble countertops. These materials are always elegant, giving off an old world classical look. For homeowners that are looking for something more unique, their remodeling contractors recommend installing a tile countertop. With tile countertops, you can design a truly individualistic pattern with tiles of varying shapes, sizes, and colors. The versatility of bathroom countertop tiles ensures that you and your family have the boldest look after your remodeling project. When installing your bathroom cabinets, you should consider going environmentally friendly. First off, with the help of the expert remodelers at LT Construction & Remodeling, any wood surface in your home will look amazing. You cannot go wrong when choosing these materials. As such, you should consider other important factors. The remodeling contractors at LT Construction & Remodeling can supply you with a full range of sustainably sourced cabinet materials. You can then make the best choice for your Worcester home and the environment. This tip is extremely general. You should install a backsplash in your Worcester bathroom remodeling project. This may seem like a step that you can skip; however, the benefits of a beautiful backsplash are immense. This feature can really improve the look of the room while enhancing the functionality of your bathroom. The professional Worcester remodeling contractors at LT Construction & Remodeling believe no project is complete without a bathroom backsplash. If you are looking for bathroom remodeling services in Worcester, then please call us today at 508-873-0966 or complete our online request form.